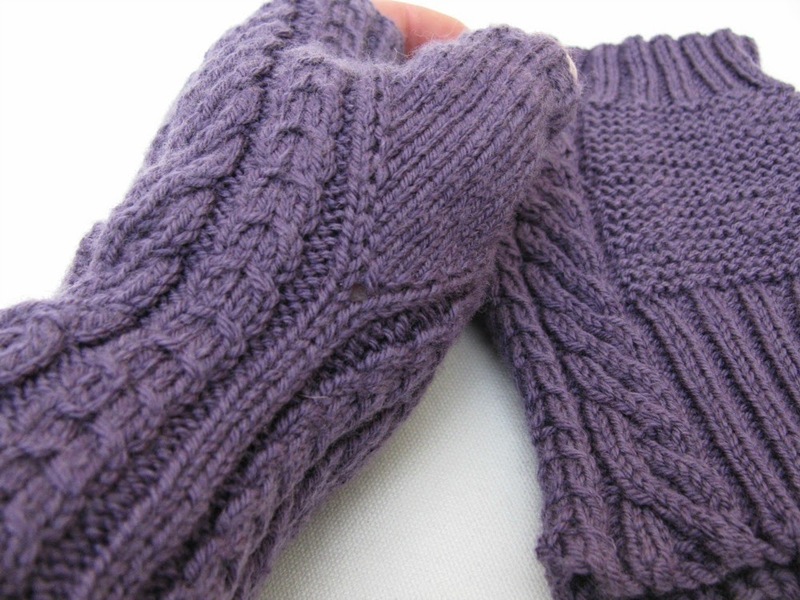 The Carthorpe mitts by Rachel Coopey uses two mirrored cable patterns with a thumb gusset between them. For the uninitiated, closed ring stitch markers like the Fripperies & Bibleots' RingOs and Simply Solids, sit on your needle. They are NOT attached to a stitch. 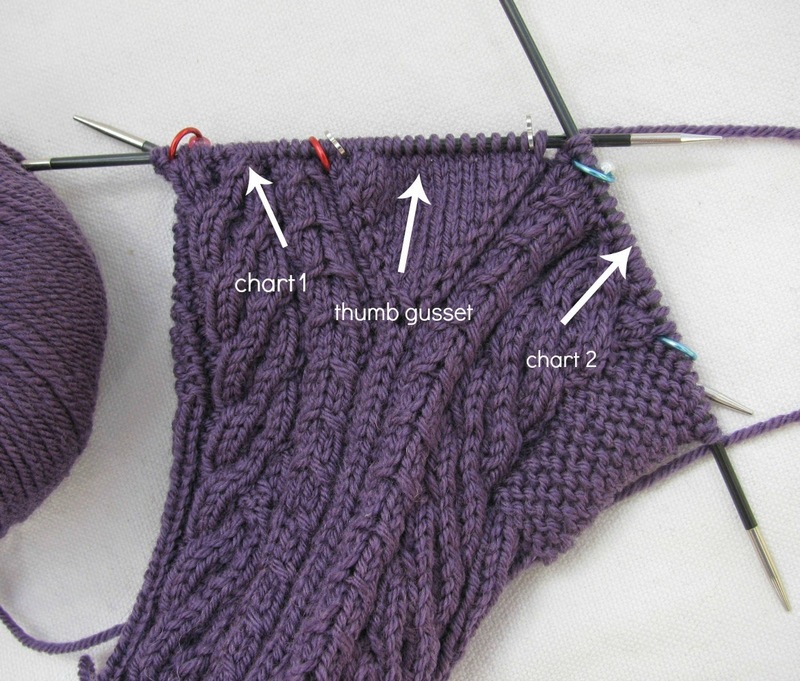 It means I don't have to count stitches and the markers tell me where I am in the pattern. I still managed to get some of the cables wrong though! See more ideas on how we use stitch markers (and more of our Fripperies & Bibelots collection) here!